Due to his position as President-elect Donald Trump's son, Eric Trump won't be seeking donations to his charity, he said on Dec. 21, according to the The New York Times. The reason for this abrupt stop is that donors might use him to get access to his father, causing conflicts of interest. "As unfortunate as it is, I understand the quagmire," Eric told the Times. 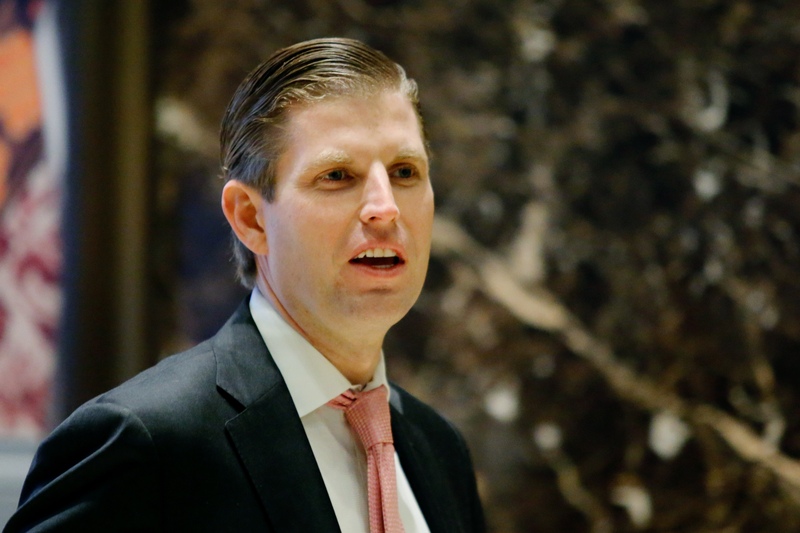 Eric's statements can be taken as a departure from the policies of his father; while Eric has spoken about reducing his role in the Eric Trump Foundation, Donald, who runs the Trump Foundation, has yet to say how his charity will be run now that he is president-elect. On the business side of things, Donald has announced he will be removing himself from running the Trump Organization, his privately held company for which he serves as chairman and president. But it won't be a blind move — Donald will reportedly have his sons Eric and Donald Trump, Jr., who currently serve as executive vice presidents, take over management instead of appointing an independent trustee. Eric started his foundation, which raises money for St. Jude Children's Research Hospital, when he was 23. While he told The New York Times he has "been raising money for sick kids far longer than" Donald has had a political career, some of his foundation's recent moves, including auctioning off the chance to have coffee with Ivanka Trump, have caused controversy. And the controversy surrounding Eric doesn't stop with his foundation — Opening Day, a Texas non-profit which lists Eric and Donald Jr. as two of its directors, sponsored a "camouflage and cufflinks" charity event. According to the event's flyer, people who donate $500,000 or more were to have a photo-opportunity with Donald and a hunting and fishing trip with Eric and Donald Jr., NBC News reported. By Dec. 21, the Trump transition team had noted that Eric and Donald Jr. no longer "plan on being involved" in the event, and mentions of the photo-opportunity and the Trump sons had been scrubbed from the event page, according to NBC News. But what had already happened was "inappropriate," Lisa Gilbert of government watchdog group Public Citizen told NBC News. "The problem is that it continues to blur the line between Trumps' business dealings and monetary schemes and his new role in running the country," Gilbert told the news channel. Still, Eric's admission that his position with his foundation will have to change is a sign of progress. "I'm saddened because I dedicated a large portion of my adult life to battling childhood cancer," he told The New York Times. "I don't ask for checks directly. I am cool with that. I plan to continue to be the greatest advocate" for finding a cure for childhood cancer. Hopefully Eric will find a way to continue supporting cancer research that isn't a conflict of interest. In the meantime, we'll have to wait and see what his father decides to do about his own foundation.